As this New Year began, a headline in The New Yorker posed the stark question: “Is Optimism Dead in the Trump Era?” The piece went on to note that a combination of factors is undermining that “clean slate” feeling we usually experience in January: the government shutdown, trade tensions, a volatile stock market and the never-ending flow of divisive rhetoric flowing from the White House. Overall, our nation seems polarized, unmoored and adrift. And we still don’t know what’s in that Mueller report. In the dark, cynical age of Trump, we need positive, illuminating films more than ever. They served as vital therapy to a hurting nation ninety years ago, and can perform the same function now. Beyond just entertaining us, in uncertain times great movies remind us of fundamental values that may get lost in all the commotion but that time and again have seen us through. Qualities that sound almost quaint when you name them, like integrity, courage and compassion. From our first bedtime story, we’re taught about heroes. Our need for them never really goes away. And when authentic heroes are missing from our lives — whether at home, school or work, whether in the halls of Congress or the Oval Office — movies provide them. These onscreen heroes tend to be real people like ourselves, people we relate to. By communing with them, we rediscover the best in ourselves and perhaps glimpse a brighter future. Happily, these cinematic paragons never die. Think of Gary Cooper in “High Noon.” Henry Fonda in “12 Angry Men,” Gregory Peck in “To Kill a Mockingbird.” These familiar characters are like old, reliable friends, offering support and solace whenever we need it. Today, our onscreen heroes are no longer just principled white men. True to life, they come in all shapes, sizes and colors. They can be young (Elsie Fisher in “Eighth Grade”), old (Charlotte Rampling in “45 Years”), gay (Annette Bening in “The Kids Are All Right”) or transgender (Daniela Vega in “A Fantastic Woman”). We may see the best or worst of ourselves in them. Regardless, we care about them, because like us, they are trying to make their way in a complex, unpredictable, often unforgiving world. The films these characters populate may require a bit more of our focus and attention, but they offer rich rewards in return. They entertain and enlighten. They make us feel smarter for having watched them. And they stay with us; we wake up thinking about them. Our best movies both reflect their time and transcend it. Sometimes (spoiler alert!) movies even predict the future. Elia Kazan’s “A Face in the Crowd,” released more than 60 years ago, seems positively prescient today, with Andy Griffith’s ruthless Lonesome Rhodes rising to power by manipulating a gullible TV audience he secretly has contempt for. Movies also bring history alive, providing an immediacy no other medium can match. It’s one thing to read about Watergate, quite another to experience it with a screening of Alan J. Pakula’s “All the President’s Men” or Steven Spielberg’s “The Post.” You likely followed the hunt for Osama bin Laden in the news, but watching Kathryn Bigelow’s “Zero Dark Thirty” actually takes you there. It’s not just about older films, of course. As hard as it is to make a movie, much less a great one, new “instant” classics get released each and every year. Movies big and small, domestic and foreign, narrative and documentary. This year alone, we have a bumper crop, starting with the triumphant “Black Panther,” a movie that signals a greater consciousness of diversity and racial inclusion in the industry, while demonstrating that a superhero film can be not only exciting, but also intelligent and distinctive. Then there’s the not-so-small miracle of “A Star Is Born,” where first-time director Bradley Cooper manages to make a story filmed four times before bracingly new. Meanwhile Alfonso Cuarón’s autobiographical “Roma” gives us a master class in evocative filmmaking, in gorgeous black-and-white no less. The movies we turn to for inspiration or evasion need not be serious affairs. After all, what better tonic for troubled times than laughter? Comedies soothe and reassure us. They make us laugh at — and with — ourselves. Nothing could be healthier. Though I treasure the wit and style of old screwball comedies like “My Man Godfrey” and “Bringing Up Baby,” more recent releases like “Silver Linings Playbook,” “Superbad,” “Bridesmaids” and “The Big Sick” remind us that smart cinematic comedy — which provides a much-needed diversion from the dramas of the day — is alive and well. Amid all the debate on how technology is transforming our lives, one indisputable benefit is our ability to access so much quality content on-demand. We can go back and watch the movies we’ve loved whenever we choose to, an advance the industry pioneers who attended that first Oscar ceremony could never have imagined. Great movies also generate stimulating discussion and debate, one reason they’re best experienced as a group. Over the years, I’ve hosted countless movie screenings and interviews with directors and actors at a variety of venues. There’s always electricity in the air at such events. And bearing out Robert Altman’s insight, people are actually surprised at how much an older movie they’ve seen before can affect them. Beyond this, we all share a fascination with how the film got made and why it still works. Grim prognostications about the future of movie theaters abounded at the end of 2017. Box office revenue was down 2 percent from the prior year, particularly disconcerting since both the population and ticket prices rise every year. The number of tickets sold dropped 6 percent, the lowest level of movie tickets sold in nearly a quarter century. Then 2018 brought a comeback, with domestic box office revenue rising an astonishing 8 percent. Several factors were at play, including better movies that people wanted to see and, I maintain, a profound need for distraction and downright escape from the news of the day. 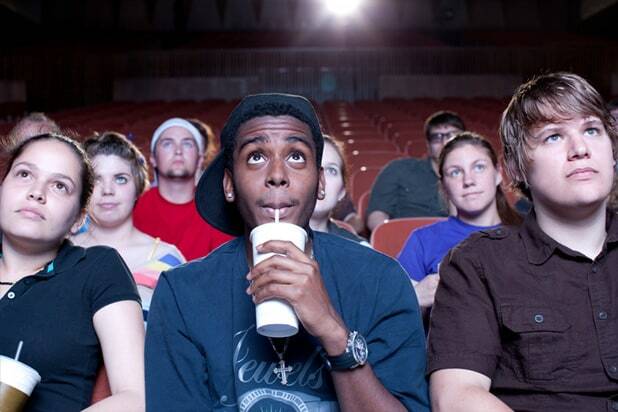 Will movie theaters ultimately survive? The current consensus seems to be yes, yet the “Netflix effect” is undeniable. Streaming is not only convenient, but gives consumers greater control over the experience of watching films. It is, undeniably, the future. Recent Netflix titles like “Roma,” “Private Life,” “Mudbound,” “The Kindergarten Teacher,” and “Sunday’s Illness” should make movie lovers optimistic about what’s to come. Every year, the run-up to the Oscars gives us the chance to celebrate the power and infinite variety of cinema. 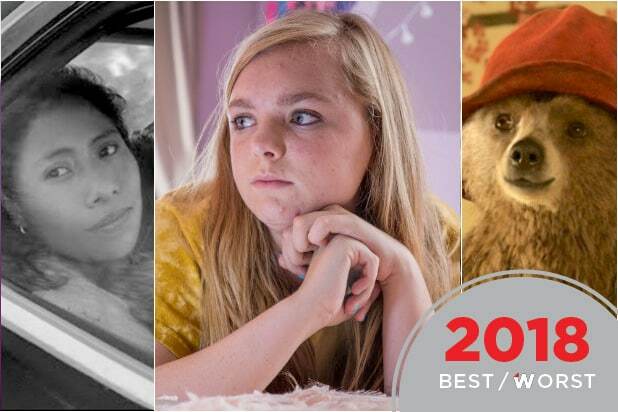 We watch past Oscar winners, and catch up on current nominees we may have missed. We honor The Best. On Sunday, February 24, during the Academy Awards broadcast, we will have even more reason to do so, as the powerful and motivating films of 2018 provide the emotional sustenance we need to get through this dispiriting moment in our country’s history. Through the stories they tell and the heroes they present, we take strength in our shared humanity once more, and regain that most precious commodity: hope. A film advocate, curator and exhibitor, John Farr is founder of the Bedford Playhouse, a newly renovated cinema and cultural center in Bedford, New York. He is also editor of Best Movies by Farr, a website dedicated to isolating the best films available to stream, rent or buy. The site boasts 2,700 movie recommendations and over 400 editorial pieces celebrating outstanding cinema, old and new, as well as a Facebook following of 110,000.